The Jaffrey-Rindge Rotary Club was organized in the late fall of 2002. The very first organizational meeting was held at Franklin Pierce University on December 18, 2002. Rotary District Governor Peter Powers guided members through the organizational process. 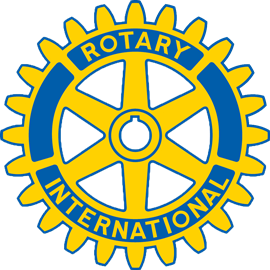 The Jaffrey-Rindge Rotary Club was chartered on February 24, 2003 with 44 Charter Members, and is Club #61345 in Rotary District 7870. Our meetings are held on Thursdays at 7:30 AM. We meet in the Hampshire Room (lower level of the Flint Campus Center) at Franklin Pierce University, Rindge, NH. During summer and winter breaks, we meet at The Shattuck Golf Club located at 53 Dublin Road in Jaffrey, NH.